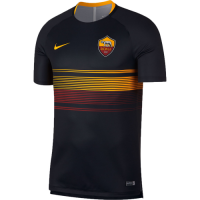 This is the Nike AS Roma 2018-2019 pre-match strip. 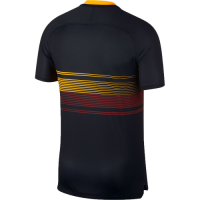 the new Roma 2018-19 pre-match jersey is black with an outstanding gradient graphic stripes design on the front. The new Nike AS Roma 2018-2019 pre-match shirt was released in July 2018.